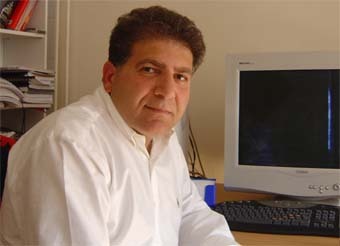 Sabri Atman is now a man in his forties, living in Enschede in the Netherlands. He was forced to leave Turkey many years ago and he has never returned to his native village Arbo, as it is called in Turoyo, the Neo-Aramaic idiom of the Christian minority in Tur Abdin. Sabri was born there in 1962. Arbo was his first world. Sabri was eight or nine years old when his father sent him to western Turkey for better education. He went together with the first Turkish schoolmaster who had come to Arbo to teach in the primary school that had been opened in the village. Sabri stayed almost a year in the house of the schoolmaster’s parents in Adapazari, a town east of Istanbul. Very soon Sabri experienced what being different really meant. The stones of Arbo. A clever adolescent from that tiny village picks up new stones in Midyat and puts them away, for later. Later came sooner than expected. The Atman family left Midyat and moved to Istanbul. Sabri’s parents knew that he would be a bright student and he was allowed to study at the famous Atatürk Gymnasium in the Taksim area in the centre of Istanbul. ‘There I got real problems. The headmaster was also my history teacher and one day he mentioned the Great War and spoke about Armenian dogs. I had learnt a lot about the Armenian genocide and I stood firm and said: How dare you call these people animals? They were the victims of massacres in the last days of the Ottoman Empire! After his studies Sabri was engaged in politics in Istanbul. He became an activist and he wrote critical articles in left-wing Turkish periodicals. It didn’t last long. In 1980 the Turkish army took over all power to stop what was called the communist threat. Sabri had sensed the danger in time. Just before the military coup d’état took place, he emigrated from Turkey. He was then eighteen years old. The rest of his life so far is the story of a political refugee in the European diaspora. Five years as an asylum seeker in Austria, but no full recognition there; then with dubious papers – a bit forged perhaps, as he calls it – to Sweden in the mid-eighties. And nowadays the low skies of Holland, Enschede. He has published three books, one in Swedish and the two others in Turkish. They deal with one burning issue: the genocide of 1915, when Armenians and Aramaic-speaking Assyrian Christians were massacred by Turks and Kurds. 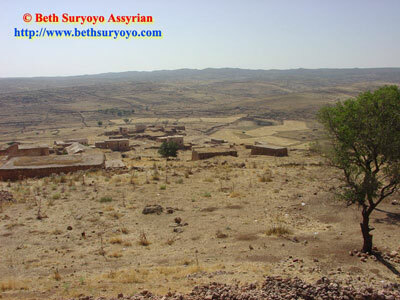 In Tur Abdin that terrible period is known as Seyfo, the Year of the Sword. Sometimes I hear from him in Assyrian websites or sites about Tur Abdin on the internet. He states there that many problems of his people today are rooted in the Seyfo-period; that he has devoted himself to long-term research; that it is his duty to reveal the truth and pass it on to the younger generation. Sometimes I see him on a stand, surrounded by his people in the diaspora, when there is once again a political manifestation somewhere in Europe to commemorate 1915. He has a strong voice, his words and his gestures hold the audience in a firm grip. When, we ask, when at last will Turkey recognize the genocide against our people? He always gets applause. How much solitude can an exile bear abroad? How much loneliness can a political refugee from Turkey bear in Holland? Sabri Atman writes books about a forgotten genocide, he raises his voice at political meetings, he is portrayed as a tough activist on internet and his name must be notorious in the Turkish embassies of capital cities in Europe. It is not enough. I see him back in Arbo, many years ago. The other boys have thrown their stones and left the scene. For them the game has been played. But not for him: he is still standing firm there; alone, with a stone in his hand.